Home » Fitness » Top 5 Benefits of Vinyasa Yoga! If you’re desperately looking for a new form of yoga to practice, then look no further than Vinyasa yoga. The word ‘Vinyasa’ translates (from the Sanskrit terms vi “in a special way” + nyasa, which means “to place”) as ‘arranging something in a special way’ which is exactly what you’ll be doing with your limbs if you decide to give this a go. There are several different kinds of Vinyasa yoga, such as Baptiste, Jivamukti, and Power, which all coordinate movement with the flow of breath between poses. Find out five reasons to take the plunge into your own life force with our Top 5 Benefits of Vinyasa Yoga! In Vinyasa yoga classes, poses are held for a lot longer than they are in standard ones, sometimes for up to 60 seconds. Due to this intense holding of poses, your muscles become stretched and your body becomes more flexible overall. Forty-five minutes of Vinyasa yoga burns 415 calories on average which is more than the 334 calories burned in 45 minutes of jogging. Even 45 minutes of jumping-jacks, the demon of the exercise world only burns 214. Due to this practice being on the intense end of the yoga spectrum, it means that your mind will struggle to wander onto other things, such as your annoying boss or that water bill that needs paying. Better than a soak in a hot bath too! A research review published by the International Journal of Yoga in 2011 came to the conclusion that the regular practice of Vinyasa yoga improved sleep, due to stress being mitigated by focusing on breathing and the quiescence brought about by meditation. As humans, we tend to be very self-critical, anxious creatures. The practice of Vinyasa yoga, or any yoga, in fact, allows you to realise the strength you possess within your body and the amazing things it is capable of. It centres you both physically and mentally. So, if you, like me, are often a ball of sleep-deprived anxiety, give this type of yoga a shot; it requires some effort, but that just means that the payoff is all the more worthwhile. The more difficult the process, the more progress you eventually begin to see in your strength, flexibility, mental balance, and equipoise. Instructional videos can be found all over the internet, for beginners and for those familiar with these exercises. Whip out your yoga mat and give it a try! What do you think of Vinyasa yoga? Let us know below or @KeepFitKingdom ! 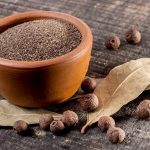 Top 5 Health Benefits of Allspice! 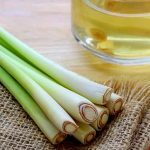 Top 5 Health Benefits of Lemongrass! Top 5 Women in World Rugby! 5 Top Physique Hacks for Uni Students!